Up to US $50 onboard credit per stateroom & more! Welcome to Holland America Line, where unforgettable experiences meet exquisite detail at every turn. You will feel the Holland America Line difference the moment you step aboard. Holland America Line’s perfectly sized ships are ideal for sophisticated discovery, being large enough to offer diverse onboard dining, activities and entertainment, yet small enough to feel elegant and refined. Settle in to a feeling of spaciousness with uncrowded public spaces, wraparound teak decks and well-appointed staterooms and suites. 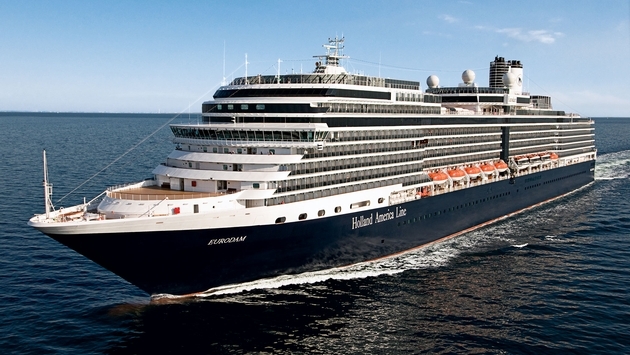 Each exhilarating experience is accompanied by Holland America’s signature style of gracious service. With Holland America Line European cruise vacations, your experience won’t just be seen, but felt.